White House economic adviser Larry Kudlow does not support the effort. Rove has been calling congressional offices to warn against bipartisan efforts to ban the nationalizing of 5G, according to the account. 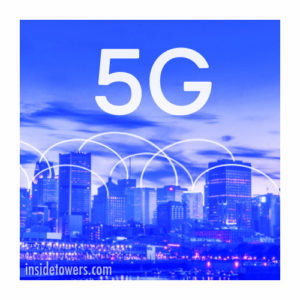 The 5G battle occurs as the U.S. government wrestles with how to secure 5G networks from potential spying through gear made by Chinese telecoms Huawei and ZTE. Sen. John Cornyn, (R-TX), along with Sen. Intelligence Committee Chairman Richard Burr (R-NC), and Vice Chairman Mark Warner (D-VA), introduced the Secure 5G and Beyond Act (S-893). The measure introduced last week would require the President to develop a strategy to ensure the security of next-gen mobile telecommunications systems and infrastructure in the U.S., as well as assist allies in maximizing the security of their systems, infrastructure, and software. It ensures, “the strategy does not include a recommendation to nationalize 5th generation deployment or future generations of mobile telecommunications infrastructure in the United States,” according to the sponsors. Specifically, the legislation designates NTIA to coordinate implementation of the strategy with the FCC, the Department of Homeland Security, the National Intelligence Agency, the Department of Justice, and the Department of Defense. Co-sponsors include Sens. Susan Collins (R-ME), Tom Cotton (R-AR), and Marco Rubio (R-FL). “Our telecom systems continue to advance at a rapid rate, and it’s critical that we develop a strategy to protect potential vulnerabilities from being exploited by our adversaries,” said Cornyn. “It’s imperative that we have a coherent strategy, led by the President, to harness the advantages of 5G in a way that understands – and addresses – the risks,” said Warner.